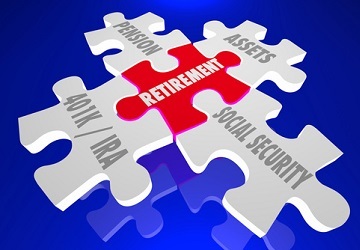 401k, IRA, traditional IRA, Roth IRA, so many retirement options where does one begin? First, make sure you know the difference between a traditional IRA and Roth IRA before considering steering away from the 401k path. IRAs are often discussed as alternatives to a 401(k), but what are the differences within different types of IRAs? Saving for your retirement is a process that can start from your very first paycheck. Typically, people invest in a 401k plan offered by an employer. This forced savings account allows you to grow your retirement investment the way you see fit and can be a good fall back in case of emergencies. Yet, the 401k path isn’t the only path you can take to reach retirement. One of these other paths is putting money into an Individual Retirement Account (IRA). This is essentially another savings account but dedicated to saving for your retirement without having to be opened via an employer. Opening an IRA also comes with one extra option that a 401k doesn’t, you can choose between a traditional IRA or a Roth IRA. When it comes to both, you are limited in how much you can contribute in a year. If you’re less than 50 years old you can only contribute $5,500, whereas those older than 50 can contribute up to $6,500 a year. Even though their contribution rules are similar, when it comes to the two key categories of tax rates and rules of withdrawing early there are some major differences between the two IRAs. A traditional IRA contribution is designated as “pre-tax” meaning based off the amount you contribute you can take a tax deduction for the year you contribute. Once you retire and take that money out then you pay taxes depending on how you distribute it all. In the case of the Roth IRA your contributions aren’t deductible, but once retirement rolls around the amount you take out won’t be taxed. This may not affect you if it looks like you’ll be in a lower tax bracket after retirement. Sticking with a traditional IRA will make sure you get tax relief at the time of contribution and pay lower taxes later. However, if you planned ahead and saved well then you will have greater potential of paying higher income taxes in retirement. In this case, by using a Roth IRA you protect yourself from raised income tax rates in the future. While early withdrawal is not recommended for any sort of retirement savings sometimes life doesn’t always let you wait to hatch a nest egg in the golden years. If this is the case, you can break into either type of IRA account early. With some consequences. Traditional IRA’s can come with a hefty tax penalty if you withdraw early and will be taxed regularly. If you are younger than 59.5 years old you will be subject to a 10% tax penalty from the IRS. In certain cases, like a first-time home purchase or qualifying educational expenses, you may be able to avoid a penalty and will still be taxed on your earnings. According to Charles Schwab, if you withdraw from your Roth IRA younger than 59.5 years old and your account is not five years old then your earnings will be subject to taxes and penalties. Despite this, you can avoid penalties if you meet certain requirements, like using the withdrawal for a first-time home purchase or if you have a disability. Now, if your Roth IRA is five years old and you withdraw from it younger than 59.5 years old you won’t be subject to a penalty. Your earnings also won’t be taxed if you meet the same conditions as withdrawing from it when the account is less than 5 years old. Both a Roth IRA and Traditional IRA provide their own benefits and disadvantages that make them unique, whether or not they’re unique to your financial situation is ultimately up to you. They can provide more freedom than a 401(k) as a replacement, but also another retirement focused savings account for you and your family in conjuction with your 401(k). Both have different rules for withdrawing early, but maybe you will focus on waiting till the right time to tap into them. The choice is yours, just make sure to consider all your options.